Earlier this year, Verizon and Ericsson used one race, the Indianapolis 500, to try and get ahead in another one — the race to be the first to roll out 5G wireless technology to the masses. While the trial was no doubt a step in the right direction, like most 5G testing it was still done in a vacuum that lacked the pressure that comes with a real-world deployment. Getting carriers, networks and mobile devices onto 4G was tricky enough; on a massive scale the world has just figured it out and made the necessary adaptations for keeping 4G networks robust and reliable. Now, they are tasked with taking what they’ve learned from 4G and successfully doing it again with 5G technology. The race is on to see who does it first, but if the move to 4G taught us anything, it’s not about being first, it’s about doing it right. In the next three or so years, more than 90 percent of people (over the age of six) will have a cell phone. That’s a lot of people downloading Netflix or uploading selfies over only a handful of networks. Not to mention, the world is looking to start connecting an endless number of new devices, cars and even full cities to these networks. It’s one thing for carriers, chip makers and gadget manufacturers to tout the benefits of a fully connected world, but no one has yet to fully answer the most important question — how prepared are these networks for the onslaught of all these new connections? And the connections that we can’t even see that come after them? One controlled stadium test during the Indy 500 isn’t going to crack the code on how networks will be able to support all these connections at once, so what must be considered? What must be tested? The 3G sunset gave way to 4G wireless technology and now the world’s wireless needs are seeing that same transition to 5G technology. 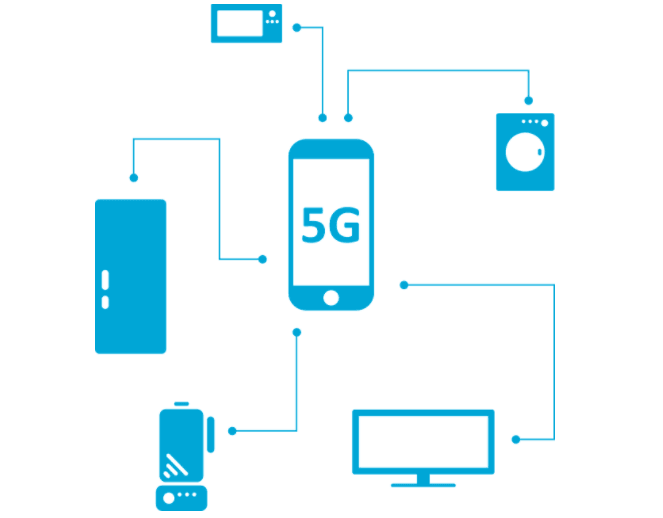 Depending on who is asked, the definition for 5G is still a bit ambiguous but at the very least everyone can agree it will allow for faster data speeds, significantly reduced latency and an explosion of Internet of Things (IoT) capabilities, including niche and low powered networks. To that effect, AT&T is starting an initial rollout of its 5G network later this year in Austin and Indianapolis, and last month Verizon won a billion dollar bid to buy Straight Path and put the last piece of the puzzle together for its own rollout. Consider one of the of the first stressors likely to test a network’s 5G preparedness — the ability to handle an influx of connections all at once, on top of the everyday load — say at a major sporting event. Testing a network for average use is one thing, but it’s too soon to tell how 5G networks will perform under the weight of something like the Olympics. Next year, South Korea will host the 2018 Winter Olympics and mobile operator KT is already advertising 5G services during the event. This is a tremendous opportunity if done right to show that when prepped and tested, 5G is all it’s cracked up to be. If they don’t do the live, heavy duty stress testing ahead of time in addition to testing under laboratory conditions or for casual use then it could be back to the drawing board for everyone. Consumers have incredibly high expectations when it comes to quality service during their everyday lives, but even more so when it comes to a high-profile event where the speedy upload and download of photos, videos, maps, etc. are at an all-time high. If the world expects to capitalize on the 5G potential at a level needed to enable those much-hyped technologies such as the fully autonomous vehicles or integrated smart cities, then testing needs to happen early on in the process and often to ensure the networks can support these commercial capabilities as they come online. The 2018 Olympics are the perfect first opportunity that shouldn’t go unmissed as a real-world testing scenario. There are a lot of ways this testing can be done, some more robust than others. Many operators use uncontrolled app testing, but that’s a shallow analysis of a network. It churns out basic performance data and provides an easy way to interpret results as best suits the carrier’s interests. It’s also fraught with many random variables that can skew the results; variables such as data collected at different locations on the network at different times using multiple devices or even similar devices with different firmware and operating systems. Operators around the globe need to look towards testing specialists that provide engineer-driven testing solutions using more sophisticated equipment, like the equipment platform debuted by Rohde & Schwarz at this year’s Mobile World Congress. At the end of the day, mobile carriers are only as good as their networks. For a successful 5G future, networks need to better define what the customer expectations are right now, along with how they may evolve as more devices, cars and cities come online. To do that, they need to test, test, test, and use all the lessons from 4G to tackle this next iteration of a mobile-first world.